Mobile credit card reader Square is in the midst of doing something that it’s never done before. 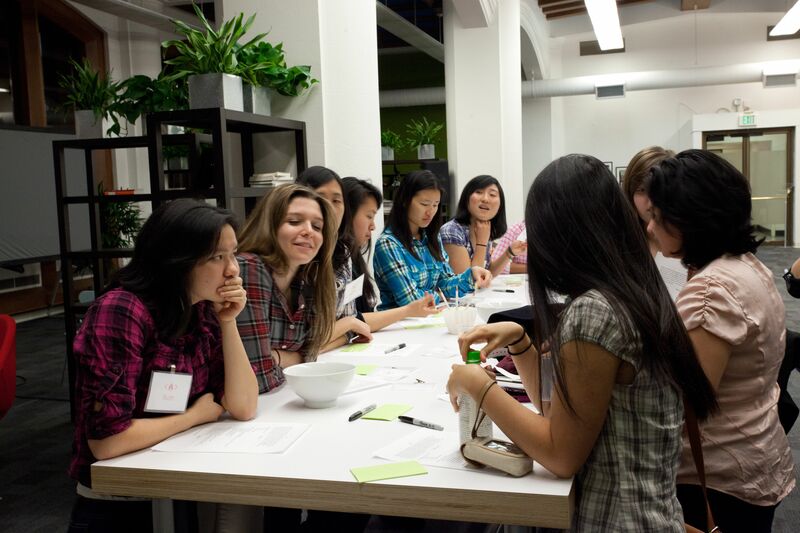 Right now, it is hosting 17 women from around the US at its inaugural Code Camp program. The company shared a behind the scenes look at what’s taking place throughout this four day immersive program. As we reported in November, Code Camp is aimed at helping female engineering students grow and succeed in the technology industry. A company spokesperson tells us that 17 students were selected and were flown out to San Francisco to participate in workshops, mentoring sessions, and get exposed to working in a startup environment. Held from January 9 through 12, Square’s Code Camp had female engineering students from across the country work closely with females who work at the company to learn what the industry is like. It says that it’s one of those “rare startups where our products involve both hardware and software, and have opportunities for iOS, Android, and hardware engineers, as well as data visualization and risk analysis opportunities.” In short, practically any field available in engineering is available to them. From day one, the students were led through a marathon of sessions and experiences. Square says that it first took them on a tour of two merchant users: San Franpsycho (a screen printing company) and Matching Half Cafe. The next day was a more detailed experience with a walk and talk with co-founder and CEO Jack Dorsey where they spoke about Square’s “four corners”, its guiding principles. The group participated in coding workshops as well — a session that allowed students to choose two areas of engineering that they were interested in and worked in two 2.5 hour sessions, led by 8-10 Square engineers. The day also included lunch with the female employees at Square, and dinner with mentors, someone at Square who has a similar technical background. On its last immersive day of programing, Square held a breakfast panel with females at Square to help answer questions any of the students had about the industry, working in a startup, and more. The company tells us that it’s important for the students to see women ahead of them being successful. 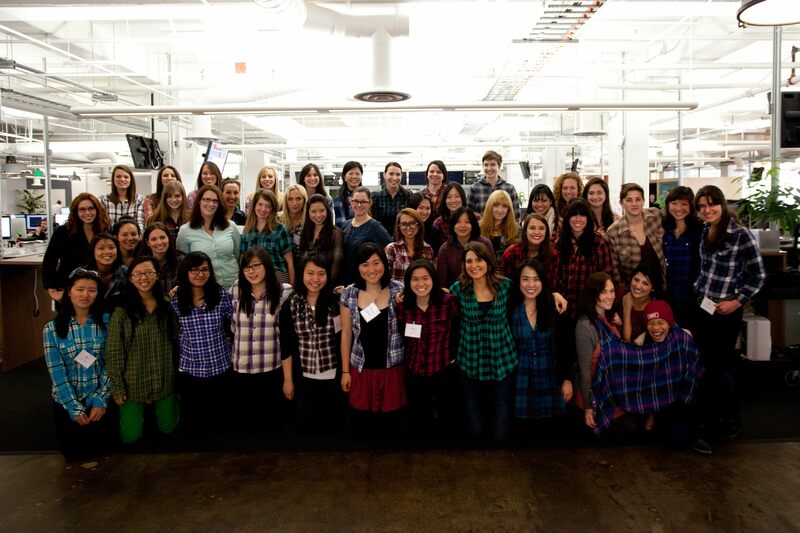 The group asked questions such as “What is your proudest accomplishment at Square?”and “Do you feel like you have to reduce your femininity in your role to get ahead?” — a female Square executive responded that it’s important to always be authentic and yourself and that it was important to have a mentor. To get them in the mood of working at a startup, during day three, a time-honored practice of a hack-a-thon was scheduled where students worked to recode the company’s employee portal, followed by attending Square’s company-wide weekly meeting, the Town Square. While the company said that its Code Camp was a three-day immersive program, it actually spans four days. On the fourth day, it becomes more of a team-building/bonding time with students participating in a “Square merchant scavenger hunt” and a leadership session. At the end of the program, Square says it hopes that these 17 students will have grown their skills by strengthening their coding knowledge, gaining great career insight, developing leadership skills, and building a stronger engineering community.